Editor's note: this blog post was originally written in October 2016 and has been updated for clarity and with the latest information. Enjoy! Surprise! If your birthday is coming up, don't think about getting another year older, think about ALL the freebies you can get to celebrate! There's so much you can get for free, from free foods to celebratory drinks and some exciting freebies you'd never have thought you could receive in your wildest dreams. Check out this amazing video of our very own freebie finder, Alex picking up her birthday freebies! 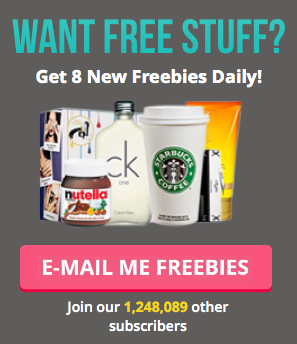 With all these freebies, it's so hard to choose where to start- which ones will you pick to celebrate? Join the Barburrito la Familia and you can tuck into a free birthday burrito. Sign up to Beefeater's free loyalty rewards club and choose from any of their delicious mains. Claim your free birthday main when you sign up to Brewers Fayre's loyalty club. Birthdays at Damon's just got bigger and better! Grab a free main course, choice of dessert and 30% off you and one of your guest's main course. Treat yourself to a hearty Italian experience with a free birthday main at Frankie & Benny's. Las Iguanas is a great place to go if you fancy mixing it up. Add some Latin spice to your life with a free birthday main - delicious! Grab a free main at one of the Nation's most popular pub grub chains, Table Table. Sign up for Jamie's Italian Gold Club and claim a free main (or dessert) at Jamie's Italian as a thank you from them- yummy! Fancy a sweet freebie on your birthday? Greggs are being super generous and treating you to a free cupcake, cream cake or doughnut for your birthday when you sign up to their Greggs Loyalty Rewards app. If you think you've had the ultimate sundae, think again! Harvester are giving away free super sundaes to birthday guests, definitely one worth trying. Don't forget, you can also treat yourself to a free dessert at Jamie's Italian, which one will you choose? The folks at Krispy Kreme will help you celebrate your birthday bananza with a free doughnut, you couldn't ask for more really, could you? Sign up for the Hotel Chocolat VIP club and receive a special tasty treat on your birthday. Download the All Bar One app and you will receive exclusive birthday rewards including a free bottle of champagne! Calling all VIBE members, you can enjoy a free Boost drink on your birthday, as well as regular deals and freebies. Sign up today! Cafe Rouge are going all out and offering you a free bottle of birthday fizz! Just sign up to their newsletter to receive this and further discounts. Enjoy a free birthday milkshake at Ed's Diner when you sign up to their loyalty club. They will also send you exclusive rewards including a free burger in your welcome newsletter - yum! Say cheers to this great freebie from Hungry Horse pubs. You can grab a free drink to celebrate your birthday, check out the venues to find your local. As if all those birthday foodie treats weren't enough, you can also claim a free birthday drink at Jamie's Italian with your exclusive gold membership app. Wow! La Tasca are giving away free bottles of Cava to kick off your birthday celebrations. Book your table and let them know it's your birthday and they'll serve up your Cava, how exciting. Treat yourself to a free £10 off voucher and a free glass of birthday champagne when you sign up to Loch Fyne's newsletter. Psst. You'll need to sign up at least 15 days prior to your birthday to take advantage of this freebie. Get a lovely 'birthday surprise' in the form of a free bottle of prosecco when you join the Pizza Express Family. If you sign up to Strada's newsletter, you can bag some amazing deals including a freebie bottle of prosecco to celebrate your big day, winning. Join TGI's Celebrations club and you will receive so many exclusive treats including free cocktails for you and up to six friends when you buy any main course - wow! You also get the same treat on your half birthday, that's pretty amazing. You can claim this one up to three weeks prior to your birthday, too. Are your little ones a fan of CBeebies? You can sign up now to give them a birthday shout out they'll never forget on their favourite TV channel! Wowee - your little one could be included in their favourite character's TV scene on their birthday if you send a pic to Disney in time. Send your little one's birthday card to Milkshake and their favourite presenter will read it out on the show, amazing! Sign up to LEGO Club and your child will receive a special free treat and birthday card in addition to exclusive magazines all throughout the year. Fab freebie for all LEGO fans! You can give your child a special free birthday card and badge from Playmobil when you sign up to their exclusive free Playmobil club. If you join the 'Love Your Body' rewards program from The Body Shop, you can bag yourself a free £5 voucher as well as exclusive discounts towards your favourite products. You can choose anything in-store, like a bath bomb, some makeup or skincare - there's so much to choose from. Treat your brows to a free Benefit brow wax when you sign up to Debenhams Beauty Club. Whether you've got big birthday plans or just fancy sprucing yourself up, this is the perfect place to start. Sign up to Space NK apothecary's VIP club and you will receive a special birthday treat in addition to beauty tips, double points, and more! You can get a free £5 voucher off everyone's favourite Swedish furniture store, IKEA when you sign up to IKEA Family. You can also get free hot drinks and lots of other goodies with this card, enjoy. Join the fabulous M&S Sparks rewards program and they will send you a free £5 voucher. You can also collect points all year round to go towards your Christmas shopping or something special for yourself. Jazz up your stationery with a free £5 birthday voucher from Paperchase when you sign up for their reward card. There's so much to choose from, you'll be spoilt for choice and the envy of all your coworkers! Get crafty on your birthday with a free £5 voucher for Hobbycraft. There's so many craft, art, decorations and more for you to choose from. When it's your furry friend's birthday, take them to Pets at Home and pick up a free treat to celebrate their special day. I've saved the best for last. All you need to do is sign up to the be Swarovski Club to nab a free birthday surprise. Check out intu's featured article for more great birthday freebies. Disclaimer: these offers may vary, please check T&Cs of each offer to avoid disappointment.